CompuHigh - Since 1994 CompuHigh has provided an online accredited high school diploma program and courses. Choice 2000 Online High School - the first public 7th-12th grade school to be both fully online and WASC accredited. Choice 2000 is proud to offer students in California cutting edge technologies to complete their high school coursework entirely over the internet. This includes a live online virtual classroom environment, the ability to receive and turn in homework assignments online as well as a secure online assessment environment. All classes are held in real-time from your computer at home and take place throughout the day with different periods in the same way as a traditional high school. Thus, it is not a self-paced learning environment. Choice 2000 runs on the trimester model helping students achieve early graduation or credit recovery. Choice 2000 is available to students in five Southern California counties: Riverside, San Bernardino, San Diego, Imperial and Orange. PRIMAVERA ONLINE HIGH SCHOOL - As a fully CITA and NCA accredited public charter school, Primavera Online is the fastest growing online high school in Arizona. Designed for students between the ages of 14-21 (grades 9-12), Primavera Online combines the finest attributes of traditional education with leading-edge, web-based technology to create a fun, safe, and uniquely challenging learning environment. With the primary goal of personalizing the educational experience of every student, see why Primavera Online has earned the reputation as the premier online educational program. K12 Online Schools - At K¹², our mission has remained steadfast: To provide any child access to exceptional curriculum and tools that enable him or her to maximize his or her success in life, regardless of geographic, financial, or demographic circumstance. We have become a leader in providing individualized, one-to-one learning solutions to students from kindergarten through high school across the country. These solutions have literally changed lives and opened up possibility for many children. Our biggest fans continue to be parents who are seeking to tap into their children's unique potential and who have seen what can happen when children can work at the right pace and with the tools, approaches, and content that make learning come alive. At Keystone National Middle School, students gain all the academic benefits of a traditional middle school education, plus the advantages of parental involvement and a head start on skills that will serve them throughout their lives. A Keystone education is about learning on your own terms. Journeying...By Grace Alone Adrienne Homeschool blogger. Stream of Consciousness - Ramblings of a 30-something, Christian, home educating mom of 3 beautiful children, wife of an awesome Godly man. Silly Dad - This blog is dedicated to the Stay Home Dad. Education Matters US - loyal local following, Illinois, of readers who are avid about their children's education and doing what is best for them. SCHOOL at HOME - A homeschool blog from a classical Charlotte Mason homeschooling family. Education news, lesson plans, reading lists, homeschooling resources, ideas, and a recap of our days. Texas Education Review - A Scholarly Print & Electronic Journal Published by the Texas Review Society Providing an Independent Voice on Education Policy. GNA Distance education directory - Distance learning open source catalog of online and correspondence degree programs and course information. With online continuing education, distance education and online training programs. Classes and Careers - Learn about online education. 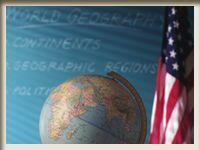 American Public Education - is a leading provider of online post-secondary education focused primarily on serving the military and public service communities. American Public University System (APUS), wholly owned by APEI, comprises two universities American Military University (AMU) and American Public University (APU). APUS is regionally accredited and serves over 33,000 part-time students who live and work in all 50 states and more than 100 countries. APUS offers 73 degree programs and 48 certificate programs in fields ranging from homeland security, military studies, intelligence, and criminal justice to technology, business administration, public health, and liberal arts.